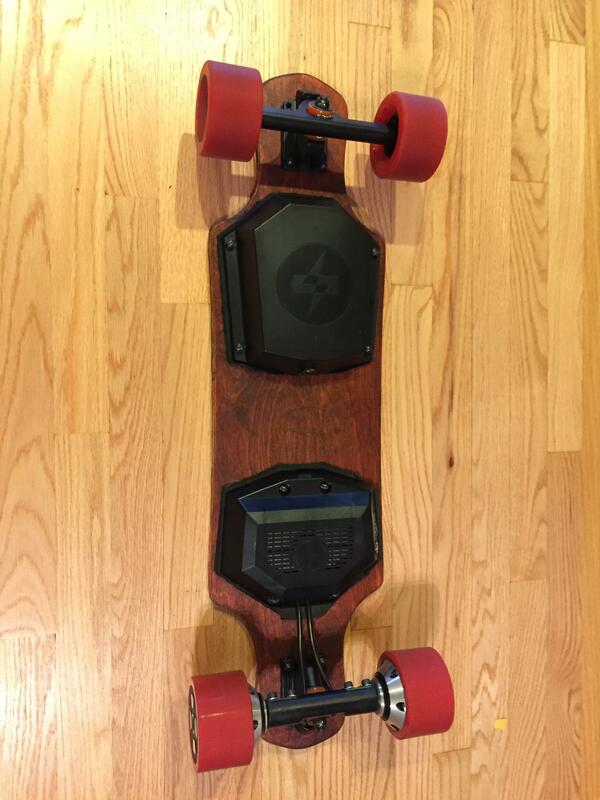 Reddit user smarchbme submitted his take on swapping the Meepo original deck for a shorter penny cruiser type of style. 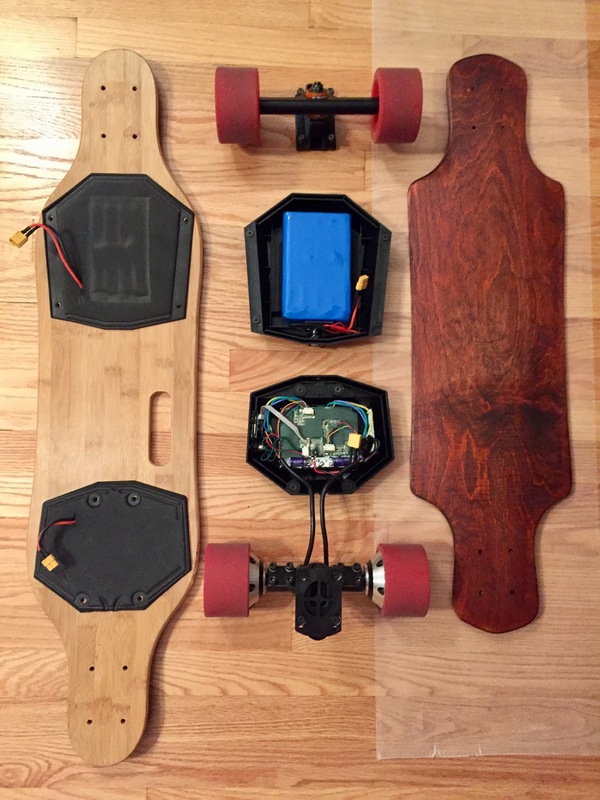 Plan was to move Meepo parts from original 36″ deck to new 31″ deck. 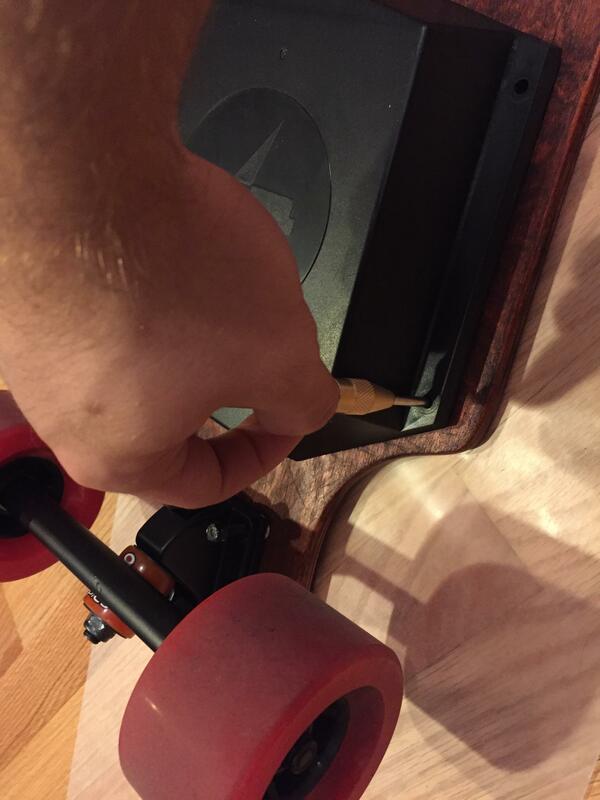 This is the board I started with, it had this thick lacquer like plastic covering the bottom side of the board. 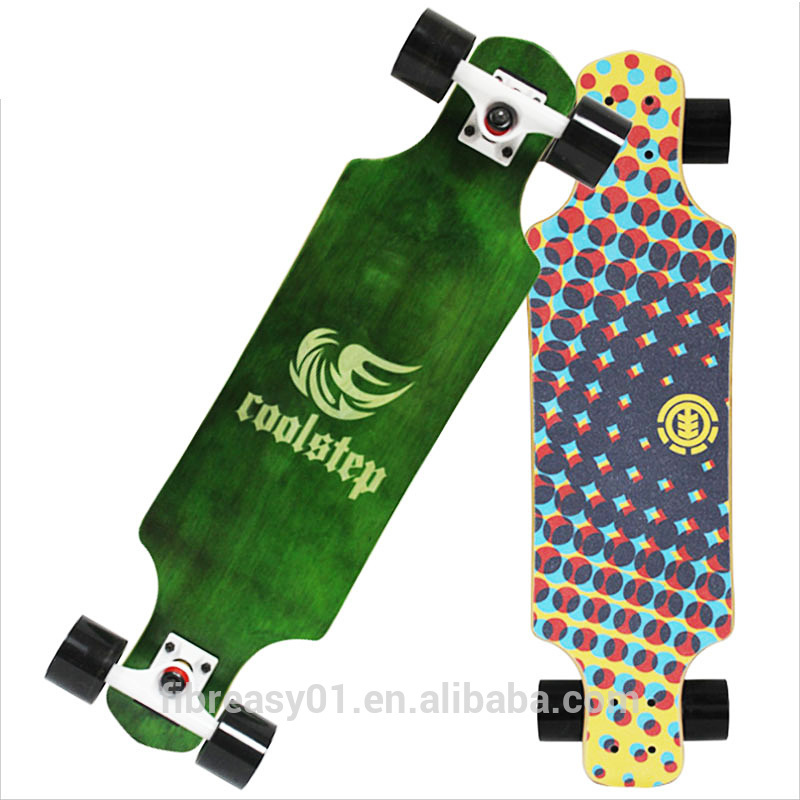 The board I had was originally this traffic cone orange. 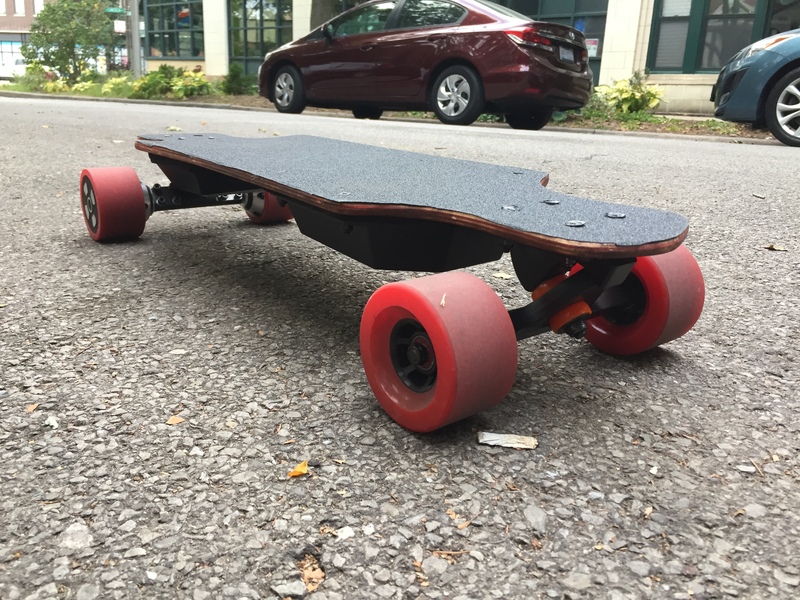 I used some paint remover and a lot of hours hand sanding (since I don’t own an electric sander). 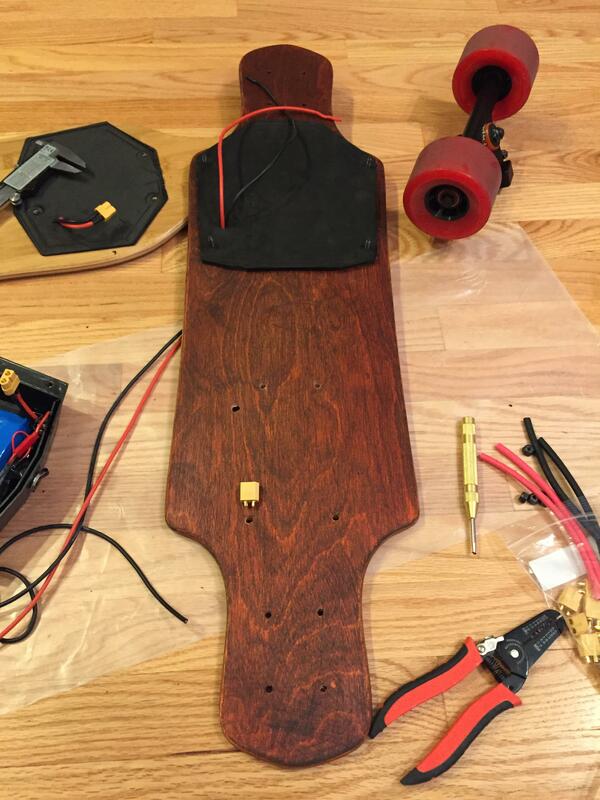 Once I had a clean and newly stained board (image 1) I began trying to figure out where to place components. 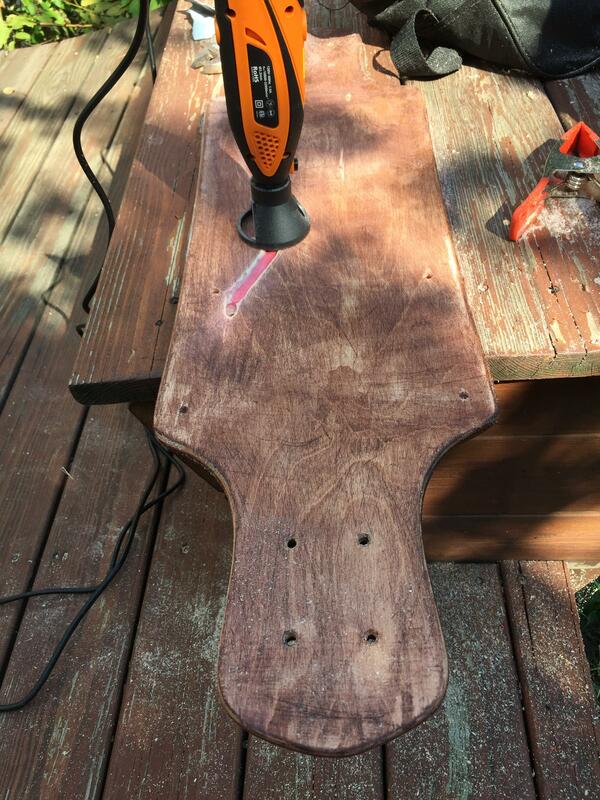 Once I had a rough idea, I used a hole punch to mark the board for my drill. 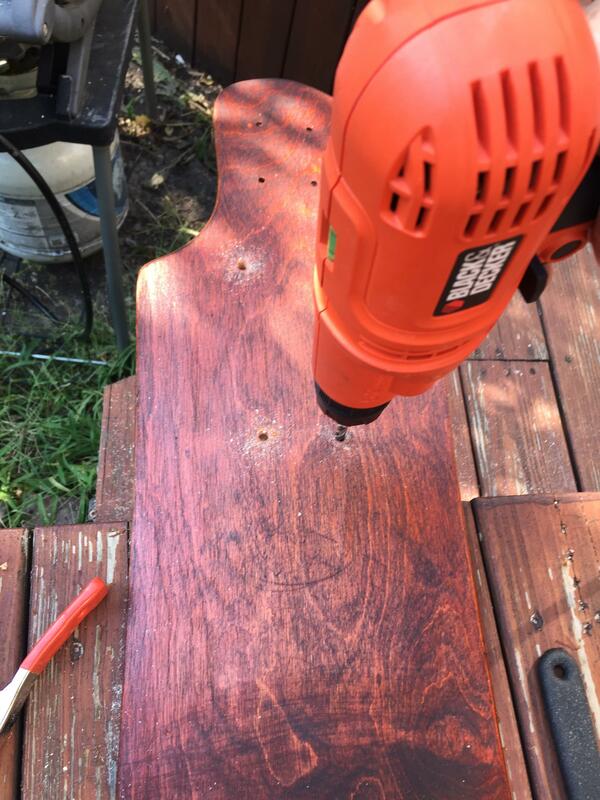 Drilling out all of the holes and grooves for cabling. This was completed and all cables fit into place as expected. All in all a very simple mod, with a lot of hours of detail work, please see the finished product below, it come out fantastic! 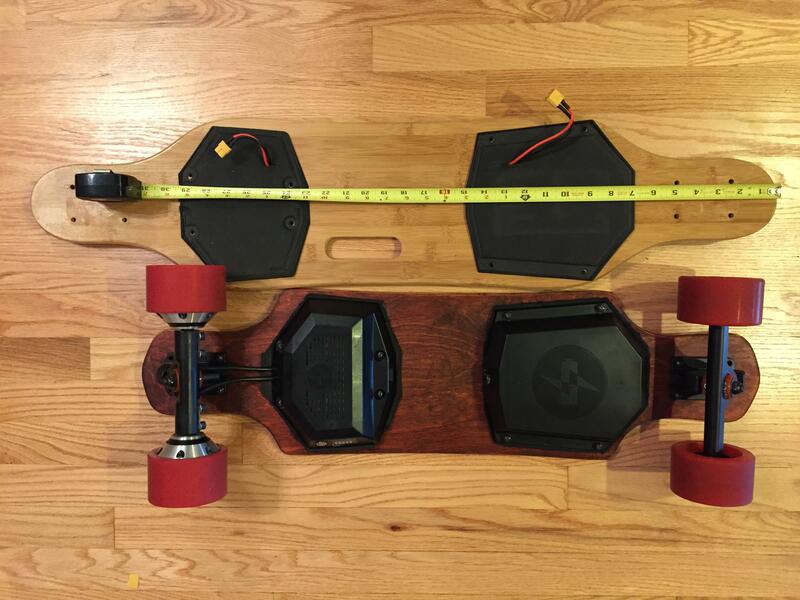 How it all weighs/lengths up in regards to the original Meepo board?